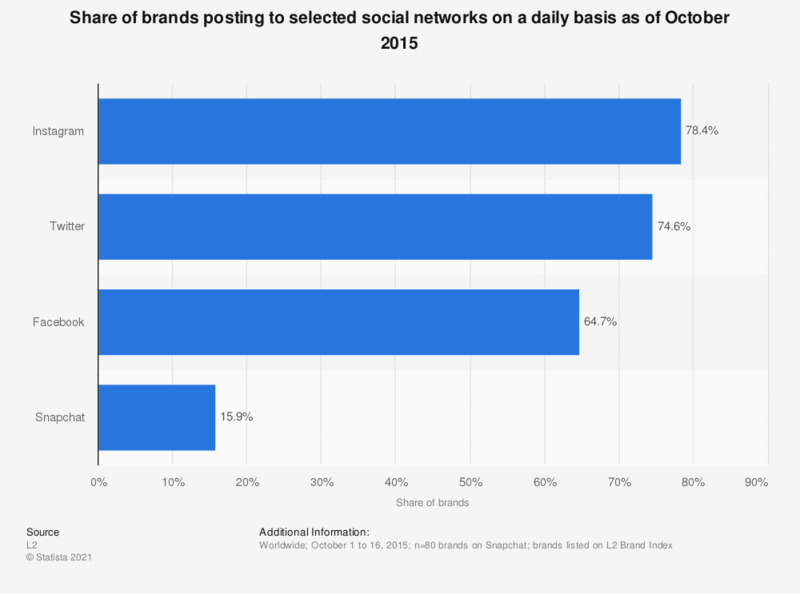 This statistic presents the share of brands posting to selected social networks on a daily basis as of October 2015. During the observed period, 78.4 percent of indexed brands posted to Instagram on a daily basis. Everything On "Business digitization" in One Document: Edited and Divided into Handy Chapters. Including Detailed References. How important do you think a digital presence is for your enterprise? What's the most valuable feature of your company's mobile app? Have you ever applied for a job on a mobile device? What are the main reasons you have never applied for a job via mobile device?